Bird Marella Law Firm | Intellectual Property | Bird, Marella, Boxer, Wolpert, Nessim, Drooks, Lincenberg & Rhow, P.C. Bird Marella has a long history of aggressively prosecuting and defending actions to protect our clients' valuable intellectual property rights. Our clients include technology innovators and globally recognized entertainment, toy, and apparel manufacturers and producers. The firm played a pioneering part in enforcing copyright protections for videotaped films, and represented all the major studios in seizure actions against video pirates. More recently, we have represented television producers and creators in complex licensing and royalty accounting disputes against major entertainment studios. In these profit participation lawsuits, we have achieved industry defining jury awards and substantial settlements that protected the commercial and creative rights of entertainment and new media clients. We also have an active practice in sophisticated litigations involving the commercial protection of cutting-edge technology. We have extensive experience enforcing the valuable IP rights of technology companies, software developers and traditional manufacturers and retailers in copyright and trademark litigation, and against competitors in cases involving the unlawful misappropriation of trade secrets and ideas by former employees or business partners. We understand that IP portfolios are many clients’ most valuable assets, and that a successful outcome in cases involving intangible rights depends acutely on context. Our representative matters include early resolutions, favorable settlements, and numerous pre-trial and trial victories. Hi-Tech Copyright Trial: We represented a small software company in copyright and breach of contract claims against a major software company. After three weeks of a jury trial, the defendant agreed to pay our client a confidential amount just prior to the start of closing arguments. When we polled the jurors, they indicated they would have awarded our client between $20 and $40 million. Until we brought the case to trial, the defendant has refused to enter in any meaningful settlement negotiations. Protected IP Rights of Preeminent Film and Entertainment Production Co.: We have represented a well-known independent production company, a global innovator of motion pictures, television production, visual effects, sound and video games, in numerous copyright and licensing litigations. Enforced Anti-Piracy Laws for Studios: We represented a major movie association trade group in piracy cases that resulted in injunctions and seizures of pirated films. Won Copyright Infringement Claims for Film Director: In our defense of a major film director in a copyright infringement suit, we obtained a dismissal of the action and a damage award against the plaintiff. Enforce Trademark, Copyright, and Trade Dress Protections for Iconic Toy Manufacturer: We represent a leading toy manufacturer in numerous trademark, copyright, and trade dress infringement actions involving its more than 50-year-old beloved doll. Obtained Dismissal of Novelist’s Copyright Infringement Claims: The firm defended a prominent motion picture studio, and the writers, producer and director of one of the studio’s films, in a copyright infringement action based upon claims that the film’s screenplay had been improperly “lifted” from the plaintiff’s unpublished novel. After we filed a motion for summary judgment on all claims, the plaintiff agreed to settle the case by dismissing her claims. Our clients paid nothing in damages. Avoided Second Trial in Trade Dress Dispute for Major Clothing Retailer: Our client, a major fast-fashion retailer, replaced original trial counsel with our firm after its initial trade dress lawsuit ended with a hung jury. The issues at stake involved cutting-edge trade dress concepts and we were able to resolve the dispute with the plaintiff, a menswear designer, just prior to the commencement of a second trial. Resolved Idea Theft Claim for Production Company Against Studio: The firm represented a global production company in idea theft claims against a major studio related to a highly successful 2010 animated film. Settled Copyright Act-Based Business Dispute for Home Video Distributor: We represented a distributor of home videos in an action filed by a production company claiming that our client had reneged on an agreement to assist in the “colorizing” and distribution of certain black-and-white films. After we won summary adjudication of the plaintiff’s primary claim, on the ground that the Copyright Act pre-empted and voided the plaintiff’s alleged oral contract, the parties settled for a nominal sum. Trademark Prosecution and Defense: We obtain and defend a broad portfolio of marks for several companies, including the nation’s largest Asian food products grocery chain. Obtained $49M Jury Award in Profit Participation Trial: We represented creators of a hit television sitcom in a profit participation / royalties dispute with a major studio. The case settled after the jury awarded $49.5 million in compensatory damages, and found fraud by the studio warranting punitive damages. We reached a settlement before the punitive damages phase. Recovered TV Royalties in Profit Participation Settlement: Our client, a prominent film and television producer, was in a profit participation dispute relating to an Emmy-award winning television series. We recovered a substantial amount in a settlement for our client. Defended Production Company in SciFi Merchandise Licensing Suit: We represented a production company in a federal court action involving the intellectual licensing rights to toys and merchandise arising out of a legendary science fiction motion picture. Counseling TV Veteran in First Opportunity / Profit Participation Litigation: We are representing a veteran creator and show runner of several television program franchises in high-demand claims related to first opportunity and royalties rights in spin-off and syndication deals. Recovered Profits for MOTW Producers: We recovered a substantial amount in settlement for our client, an author and producer, in a royalties / profit participation dispute concerning several made-for-television movies. 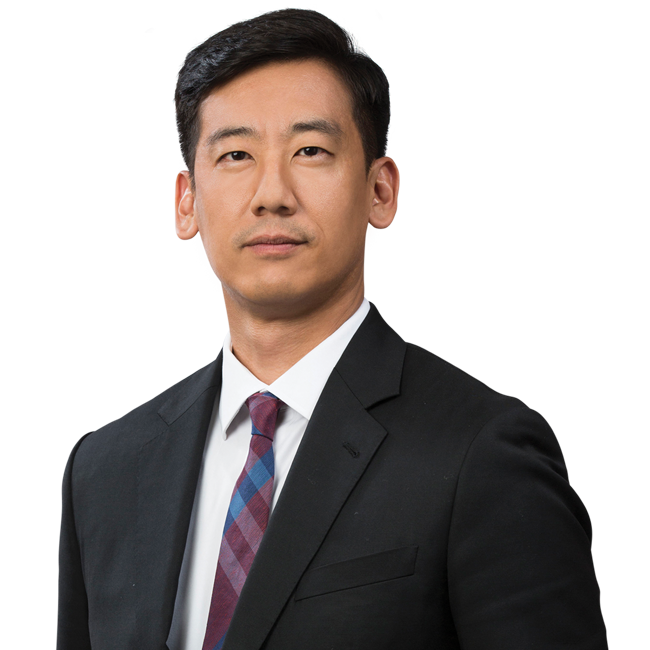 Represented Primary Defendant in Prominent Economic Espionage Act Litigation: We represented a former executive from a prominent hotel and hospitality chain in high-profile, parallel criminal and civil trade secrets misappropriation actions involving alleged violations of the Economic Espionage Act. The defendants were accused of misappropriating reams of electronic data when moving from their former company to their chief competitor. After a thorough internal investigation and multiple presentations to government attorneys, we obtained a no prosecution decision on the criminal side and a favorable settlement of the civil litigation. Knocked Out Claims of Trade Secret Theft for Tech Startup: We represented a small Silicon Valley startup in a pre-litigation dispute involving charges of trade secrets theft and unfair competition in connection with the hiring of the company’s CEO from a large competitor. After replacing prior counsel, we quickly conducted an internal investigation, determined that our client’s technologies were entirely its own, and successfully persuaded the competitor company to withdraw its threats of legal action. Won Jury Verdict for Financial Company’s Employment Claims: We represented a financial services company in an action for fraud, embezzlement, misappropriation of trade secrets, and breach of a non-compete agreement against a former officer of the company. After a two-week jury trial, we obtained a judgment of approximately $750,000 in our client’s favor. We also prevailed on cross-claims for wrongful termination and fraud filed by the defendant. Counsel in $2.8B Misappropriation Claim Against Bank: We are co-counsel for an Orange County financial software company in a high profile trades secrets action against a foreign bank. The federal court case includes a $2.8 billion demand related to the misappropriation of our client’s software and technology platform for money transfers by financial institution based in the Middle East.